Not to be confused with Antipope Gregory VIII. Pope Gregory VIII (Latin: Gregorius VIII; c. 1100/1105 – 17 December 1187), born Alberto di Morra, reigned from 21 October to his death in 1187. Alberto di Morra was born about 1105 in Benevento, Italy. His father was the nobleman Sartorius di Morra. He became a monk early in life, either as a Cistercian in Laon, or a Benedictine at Monte Cassino. Alberto later joined a new religious order, the Premonstratensian or Norbertine order, probably between the ages of 20-30. He was a canon at St. Martin's Abbey in Laon. He later became a professor of canon law in Bologna. 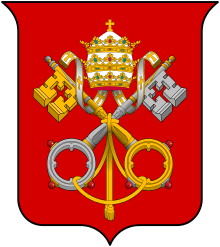 In 1156, Pope Adrian IV made him cardinal-deacon of Sant'Adriano, and on 14 March 1158 he became cardinal-priest of San Lorenzo in Lucina. As a papal legate of Pope Alexander III, he was sent to teach canon law throughout Europe in the 1160s, and was sent to Portugal to crown Afonso II. He also brought an offer of reconciliation in 1163 to Holy Roman Emperor Frederick I Barbarossa, whom Pope Alexander III had excommunicated in 1160. Alexander also sent him to England to investigate the murder of Thomas Becket, and he absolved King Henry II of England of the murder during the Council of Avranches. 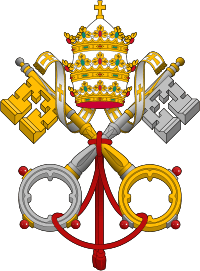 From 1177-1179, Alberto also served as a legate in Italy and in February 1178 was named Chancellor of the Holy Roman Church. As Chancellor he generally pursued a conciliatory line toward the Emperor; in the controversy over the disputed succession of the Archbishopric of Trier he argued strongly in favor of setting aside both the pro-papal candidate Folmar of Karden and the pro-imperial Rudolf of Wied, and allowing the canons of Trier to hold a new election, but was overruled by Pope Urban III. It was in this position that di Morra "...compiled a Forma Dicendi, a collection of official papal acts, and also completed a codification of the cursus, a compilation of the very stringent rules governing the euphonious arrangements of sentence endings and phrasing in papal acts. In his honor, the cursus was called stylus gregorianus." These two documents were very influential in shaping the rhetoric used in papal documents. Shortly before his election to the papacy, Alberto founded a monastery in his hometown of Benevento. 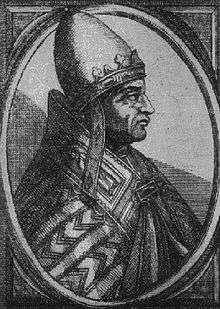 On 21 October 1187, the day after the death of Pope Urban III, Alberto di Morra was elected pope and took the name Gregory VIII in honor of Pope Gregory VII. He was consecrated on 25 October. His previous dealings with Frederick Barbarossa put the church back in a friendly relationship with the Holy Roman Emperor. In response to the defeat of the crusader Kingdom of Jerusalem at the Battle of Hattin, Gregory issued the papal bull Audita tremendi calling for the Third Crusade. Gregory travelled to Pisa in order to end Pisan hostilities with Genoa so that both seaports and naval fleets could join together for the crusade. On the way to Pisa, he stopped at Lucca and ordered Antipope Victor IV's body to be removed from his tomb and his remains thrown out of the church. Gregory died in Pisa on 17 December 1187 of a fever after holding the papacy for only 57 days. He was buried in the Duomo in Pisa. 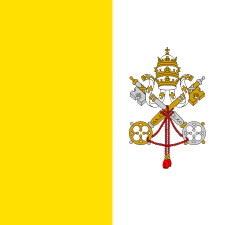 He was succeeded by Pope Clement III. According to Joseph S. Brusher, "His pontificate though brief was glorious." ↑ "Gregory, the eighth of that name…they declare from records of St. Martin of Laon to have once been a canon of that church..." Basil R. Reuss, "A Norbertine Pope?," rev. of Catholic University of America Press, The Catholic Historical Review July 1933: 200-03 <http://www.jstor.org/stable/25013158>. ↑ Geschichte der deutschen Kaiserzeit, Vol. VI, p. 130. Loughlin, James. "Pope Gregory VIII." The Catholic Encyclopedia. Vol. 6. New York: Robert Appleton Company, 1909. 7 December 2008 <http://www.newadvent.org/cathen/06795a.htm>. "Premonstratenisans/Norbertines A Look at out Way of Life." The International Website for the Order of Premontre. The Order of Premontre. 7 December 2008 <http://www.premontre.org/publica/apostolates%20page/apost-life.htm>.